The Five Step easy and simple way to revamp any room in your home and freshen it up to make it feel brand new. Are You Tired of Your Dingy, Dated Home? In the current economy, moving may not be an option and besides you live in a great neighborhood and love your neighbors. So what do you do when you’re tired of looking at the same old dingy room that has stopped feeling like home? There are easy and simple DIY projects that can freshen and renew a room so it feels like a whole new space. Simple home improvement projects can be tackled in a weekend and give you a sense of accomplishment. 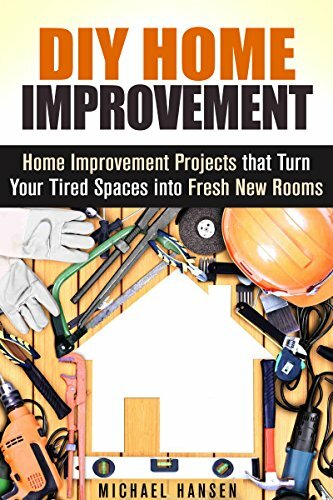 I’ll guide you through a simple and straightforward step-by-step process that is sure to give your home that fresh feeling and make you forget about wanting a new place. Once you learn these quick and easy techniques to update and freshen your rooms, there will be no stopping you. Don’t wait another minute. Learn how to change your space and get that fresh new feel you’re wishing for.